One of the first things any seller in Madison or any other market needs to evaluate upon the decision to sell your home is to determine what NEEDS to be fixed. What many sellers don’t realize is that there are certain issues that will prevent a home from being sell-able on the Multiple Listing Service (MLS), or the traditional method of selling a home utilizing a real estate agent. While this list does not cover everything, these are the most common issues we come across in evaluating homes where the seller was unable to list traditionally and therefore came to us for help. If you have a fixer upper in Madison or Dane County read on to see if these issues might be things you need to address prior to selling. Don’t want to deal with it? 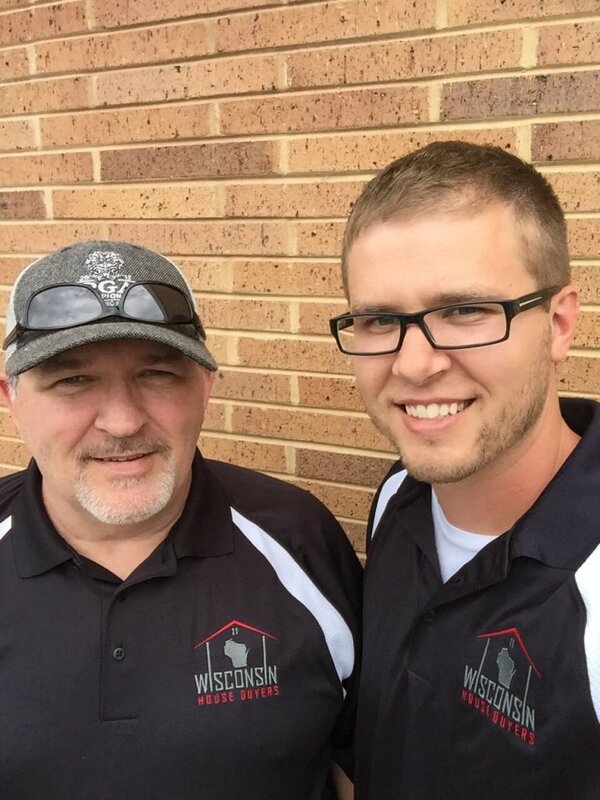 That’s fine, we buy houses in all shapes and kinds in Madison and the surrounding areas so we urge you to consider a consultation with us in order to determine the best price we can offer. There are normally several contingencies within a standard offer to purchase contract for a home. We will focus on the inspection and financing contingencies as these are often the most problematic. First, let me explain why these things need to be addressed BEFORE listing the property. The end buyer, unless it is a company that buys houses directly like Wisconsin House Buyers, will always have an inspection contingency within their offer to purchase. This means that the end buyer will hire an inspector to come look at your home and provide a report for the potential end buyer regarding what is wrong with it. They will highlight and focus on certain areas of the home and will recommend what should be fixed prior to purchasing the home. Most buyers will not proceed where certain issues exist. We outline the primary things to be aware of below but there are others as well. It all depends on the end buyer. They can be fine with some issues, but often they want a move in ready home in great shape. The second contingency that can get you is the financing contingency. Banks simply will not approve a loan for a house with certain issues. The home is the banks collateral so if you think about it, this makes sense that if their collateral is in bad shape they wouldn’t want to take the risk. Unfortunately, it is all too common for the end buyer to be fine with certain issues only to get shut down by their bank before closing. This can be a costly and annoying problem in many cases as the seller could be trying to move into a new home and have a deadline to keep. Disclosure: The prices provided below are wholesale prices our business acquires because we do larger volumes of business than traditional retail buyers. Be aware of this and expect to pay slightly more in some or all the repairs we outline. Also, ALWAYS get multiple bids for your project. Even we do this for all but a few contractors we already know we have the best prices with. expensive issues we come across in the industry. While not a deal breaker for a company that buys houses it is a deal breaker for everybody else. Foundation issues arise from all kinds of underlying issues. These include poor workmanship from the start (poor job when the concrete or stone was laid), uneven settling of the ground, or objects such as trees getting planted too close to the home. These issues can create small cracks or massive cracks and severe structural problems for the home as a whole. Foundation issues can range from $5,000 all the way to $50,000 in Madison. It just depends what needs to be done. Often a potential foundation issue can be avoided too. We often look at trees planted too close to the home and account for removing them immediately to prevent future foundation issues. An inspector will make note of this on their report so we just automatically remove them to avoid the issue on the back-end. Electrical issues are also at the forefront of what inspectors pay attention to. For good reason right, after all electrical issues have been a primary source of fires in homes for as long as we’ve had current flowing through our homes. The problem panels are common place in the fixer uppers our company buys while the knob and tube wiring is much less common. The primary things to keep an eye out for here are the panel and the wiring. 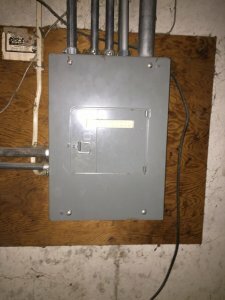 The first thing I look at when in the basement or garage is the electrical panel. In most cases the voltage / amperage is okay but what we really pay attention to is the manufacturer of the panel. The two manufacturers that we automatically know require the panel to be replaced are Federal Pacific and Zinsco. Why you ask? Well, these particular panels have a nasty habit of overloading and starting a fire. Basically, the mechanism that is supposed to prevent fires fails after so many trips. It then no longer performs its task and electricity can continue flowing when it wasn’t supposed to any longer. A new panel will run you $1,500 – $2,000. The other big concern with the electrical systems in your house is the wiring, specifically knob and tube style wiring. This was the method used for a long time. It also has a nasty habit of causing fires because the wiring is so often right next to combustible materials. The electrical load that modern day electronic items place on this type of wiring was never accounted for… So, we automatically account for replacing all the wiring where knob and tube exists. Re-wiring is a significant expense. Basically, we use $6 per square foot in the Madison and Dane County markets. In other markets, it can be more expensive or cheaper (based on labor and materials costs in the area). So, imagine you have a 1,200-square ft. house. The math tells you about $7,200 will be required to rewire this properly throughout that area, using a certified electrician. You will also need to pull a permit which will run about $500 and depending on the makeup of your home you could need to replace some drywall and patch some other things up as well. Windows are often overlooked. Even we sometimes forget to record all of the windows in need of repair. However, they are definitely not forgotten by home inspectors and you will need to replace certain windows prior to passing an inspection. This is one of the cheaper things to get fixed, though you often need to take care of some trim work surrounding the windows which can add up to some higher costs. Expect to pay about $400 per window for average sized openings. More energy efficient options will obviously run you more but depending on the market (and Madison is one of them) they are a selling point for end buyers. The things to watch out for here are eliminating any windows with cracked seals, single pane windows, broken windows obviously, but they really just need to be functional as well. In addition, the seal around the edge of the window should be done correctly to avoid heating/cooling problems as well as water seepage. Cracked and broken windows are the most common things we see (almost always a couple on every house we view) and should just be replaced automatically. Some of these issues will be minor notes on the inspector’s report while others will almost certainly require replacement by the seller prior to acceptance of the offer by the end buyer. An obvious one, I know. This is one of the more expensive items on the list. We think about half the homes we evaluate need new roofs. Sometimes the home owner knows it and other times they don’t. 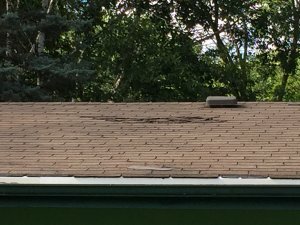 It can be difficult to tell sometimes but there are some signs that point to the need for a new roof. Look for torn, curled, or missing shingles. These are the easiest things to spot. Sometimes the shingles just look weathered and you can tell, if you’re honest with yourself, that the roof needs to be replaced. Depending on the condition of the existing shingles it is sometimes possible to simply layer another round of shingles on top of the previous. This is assuming there is only one existing layer and the boards and barriers under the shingles are still in good condition. This is the cheaper option but not one we would normally advise. Inspectors, especially in the stricter districts such as Madison and surrounding communities, are not fans of this approach because it can hide underlying existing issues. The cost of a new roof depends on numerous variables including the pitch of the roof, how much if any shingles need to be removed, the condition of the decking and barriers beneath the shingles, and the square footage area they need to replace. There are also numerous types of shingles to choose from that provide varying levels of lifespans and warranties. Don’t forget about the attic! As part of the roof equation you really need to get up in the attic. Most people don’t want to deal with this at all. As a company that buys fixer uppers even we would agree it’s among the least favorite of the activities we have to perform. 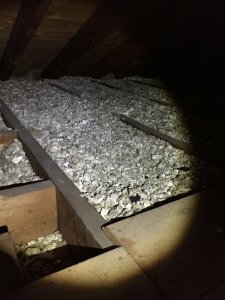 However, it is important and again is one of those areas your inspector will check out for numerous potential issues including proper ventilation, insulation levels are to Madison’s code (or your community’s local code), there is no vermiculite insulation, and there is no mold. Let’s focus on the last two primarily as these are the items that really need to undergo remediation prior to being able to list a property. To start, vermiculite is a mineral that was used in some insulation. However, the law now states that you must remove any vermiculite present within the home. It is mostly found in the attic in forms like in this home we looked at just this last summer. The reason you have to remove this is that in some cases it contains the cancer-causing agent asbestos. They used to allow testing to determine if the particular vermiculite in your home had asbestos but have since ruled that all cases must be removed completely. Removal will cost you about $3,000 and you’ll then need to blow in insulation on top of that, another $1-3k depending on the space. Mold is its own separate animal. Again, relatively expensive to remedy and one of the scarier items to anybody living in, or looking to buy a home. Since we were just in the attic let’s start there. 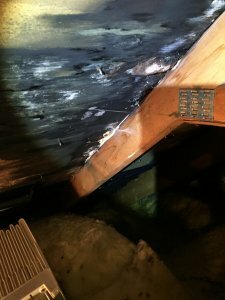 Mold can grow in the attic due to all types of issues. One of the primary causes is a poor roof so this is one to look at prior to getting the roof done. If you see mold in the attic it will mostly be on the underside of the boards of the roof and will mostly be black mold. This type of mold can be relatively benign but also potentially very dangerous depending on the exact strain. Different people are more susceptible to mold than others so it just doesn’t matter, when you see mold you know you have a problem that must be dealt with before listing can occur with an agent on the MLS. boards of the roof perhaps the roof can be completely swapped out including those boards and remediation would be unnecessary. One more note on the attic mold, it could also be caused by poor ventilation so don’t assume it is the roof. If you plan to address this yourself have both a roofing and remediation company give you their opinion and determine the best course of action based on your individual circumstances. Mold can be found in many other parts of the house as well. Common places are in the basement and bathrooms. However, it could be anywhere depending on how the roof, foundation, HVAC, and plumbing systems were built. Mold is one of those things you may not even know exist until you tear down a wall and find it everywhere. There are normally signs though, and those of us that look at enough properties, especially those inspectors, have a knack for finding it. Remediation in certain parts of the house can turn into a seriously expensive problem, for your health and wallet. 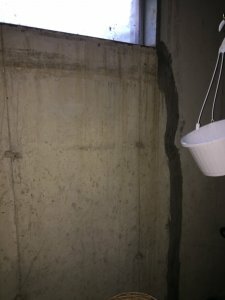 In the worst cases, entire walls and sub-floors need to be replaced completely. In these cases, you are talking tens of thousands of dollars to fix the issue. A lot to consider, right? Many of these issues sound terrible I know. We aren’t going to lie and say they are a cake walk, but they can all be dealt with. What it really comes down to is what you, the seller of the home, is looking to accomplish. If you have the capital to spend you should consider contacting a local, credible contractor to address these issues (even if you aren’t selling you should probably deal with them sooner than later because all get worse with time when left unaddressed). On the other hand, the people that contact us either can’t afford to deal with these issues or simply don’t wish to deal with them. We understand that and that’s why our service exists. You can sell your house in any condition, regardless of what you hear elsewhere. We can help you sell your fixer upper quick and easy, no repairs or cleaning necessary. And if you are on the fence and don’t know which way to go you can still contact us for a no-obligation evaluation and offer. Head over to here if you are one of those people. Also, let us know if you have any questions about your fixer upper. We may be able to provide a good contractor or two if you prefer to deal with the work yourself.